This new book contains the most up-to-date and focused description of the applications of Clifford algebras in analysis, particularly classical harmonic analysis. It is the first single volume devoted to applications of Clifford analysis to other aspects of analysis. All chapters are written by world authorities in the area. Of particular interest is the contribution of Professor Alan McIntosh. He gives a detailed account of the links between Clifford algebras, monogenic and harmonic functions and the correspondence between monogenic functions and holomorphic functions of several complex variables under Fourier transforms. He describes the correspondence between algebras of singular integrals on Lipschitz surfaces and functional calculi of Dirac operators on these surfaces. He also discusses links with boundary value problems over Lipschitz domains. Other specific topics include Hardy spaces and compensated compactness in Euclidean space; applications to acoustic scattering and Galerkin estimates; scattering theory for orthogonal wavelets; applications of the conformal group and Vahalen matrices; Newmann type problems for the Dirac operator; plus much, much more! 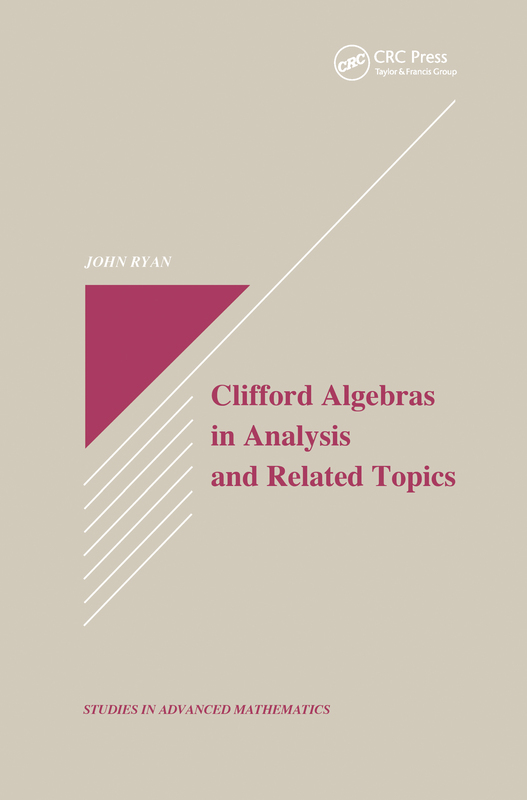 Clifford Algebras in Analysis and Related Topics also contains the most comprehensive section on open problems available. The book presents the most detailed link between Clifford analysis and classical harmonic analysis. It is a refreshing break from the many expensive and lengthy volumes currently found on the subject.